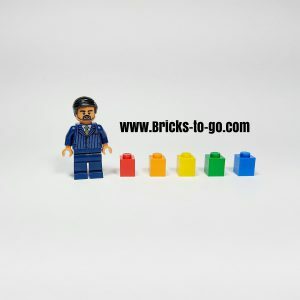 Bricks-to-go.com is home to your daily Lego brick-fix. Brickstogo started as a Youtube channel that I created to post a video of a modular building that I had created. After returning from the dark ages after several years, I was keen to build more, and things got slightly carried away from there. I quickly decided I not only wanted to continue building modular buildings, (as I had found quite a passion for Lego architecture) but I also wanted to build a Lego city. As I continued to design and post new Lego creations to Youtube and Instagram, I started to receive requests for building instructions for my buildings. Happy to share my creations, I created this website in an attempt to be able to both showcase and share my Lego creations with other Lego enthusiasts like yourself! 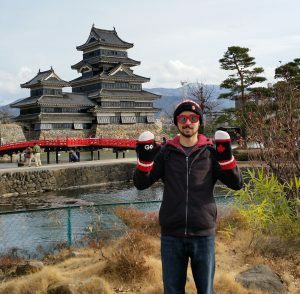 My name is Isaya Matsushita, and I am the creator of Brickstogo. As a dedicated Lego hobbyist, I found myself without people in my life that I could share my passion with. Friends and family alike did not share the same level of enthusiasm as I did towards this amazing building toy. 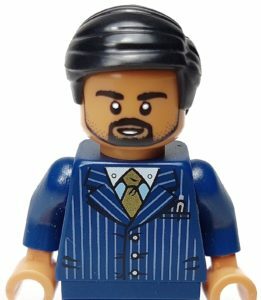 It seems almost childish to those who don’t know the creative, and extensive possibilities that Lego and the community itself have to offer. What good is a hobby and a passion with no one to share it with? Since the age of four, when I received my very first Lego set, I have always had a keen interest in building and creating; you could say I have an “itch to build”. Whether it was Lego bricks, wooden blocks, or Lincoln Logs, I was always building. When I got to high school I was turned on to the idea of architecture, and began a sketchbook of some architectural drawings. This kept me busy, and quite interested for a long time until I discovered the official modular Lego sets in one of the monthly Lego catalogs. I loved the idea of designing and building my own Lego city, and so I began working on a small custom modular build of my own. A few weeks later and I had created my first modular build! I was instantly hooked once I saw what could really be accomplished using Lego. My goal here at Brickstogo is to inspire builders to be creative, and design amazing Lego creations of their own. Lego is so much more than a toy; it’s a building block for creativity and problem solving skills. Lego brings people together to unite through a common interest, and it creates a community unlike any other I have ever seen. Join me in my goal of creating a completely custom Lego modular city by following my progress of each build. Plus build along with me using the building instructions available on this site, or gain some inspiration for your own Lego projects! If you have any other inquiries about Brickstogo or myself, don’t hesitate to ask. Visit the contact page to send me an email, and I’ll be sure to get in touch with you! All the best, and happy building! Lego MOC Building Instructions – Coming Soon! What a great idea for a site! When my son was small, he would spend hours building! We also used legos to teach math. It was so easy and fun and he LOVED it. He’s a math whiz today. Lego is a great teaching tool, and inspires out of the box, creative thinking. It’s a great tool in many ways for many people and is far more than just a plastic toy. Hopefully I can inspire others to see this and take advantage of the great benefits it has to offer!